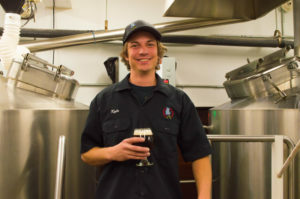 Joyride Brewing Company is a small craft brewery in Edgewater, CO, across the street from the banks of Sloan’s Lake. We have a 10 barrel brewhouse with eight serving tanks and 6 fermenters. Our taproom is around 1600 sq ft and can hold about 95 people. Please join us and enjoy the majestic views of the lake from our six rollup glass garage doors. Cheers! © Joyride Brewing Company 2019. Theme designed by CPOThemes.